Britains Got Talent judges leaving the Balmoral Hotel and head for the Festival Theatre, Edinburgh, Scotalnd, 11th February, 2012 . 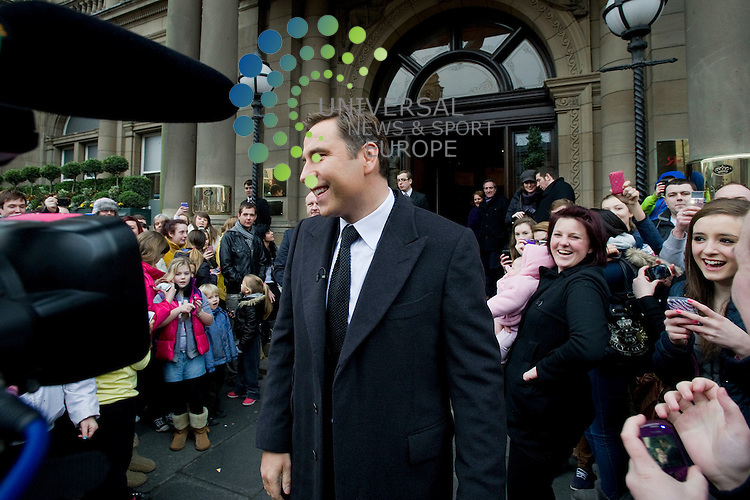 Pictured David Walliams pretends to steal a baby from a member of the crowd..Picture:Scott Taylor Universal News And Sport (Europe) .All pictures must be credited to www.universalnewsandsport.com. (Office)0844 884 51 22. Copyright For editorial Use only. Additional clearance required for commercial or promotional use. Images may not be altered or modified. All pictures must be credited to www.universalnewsandsport.com. Universal News And Sport (Europe).